simple, yet surprisingly powerful application for keeping your Mac clean, organized, and free of files that slow it down. 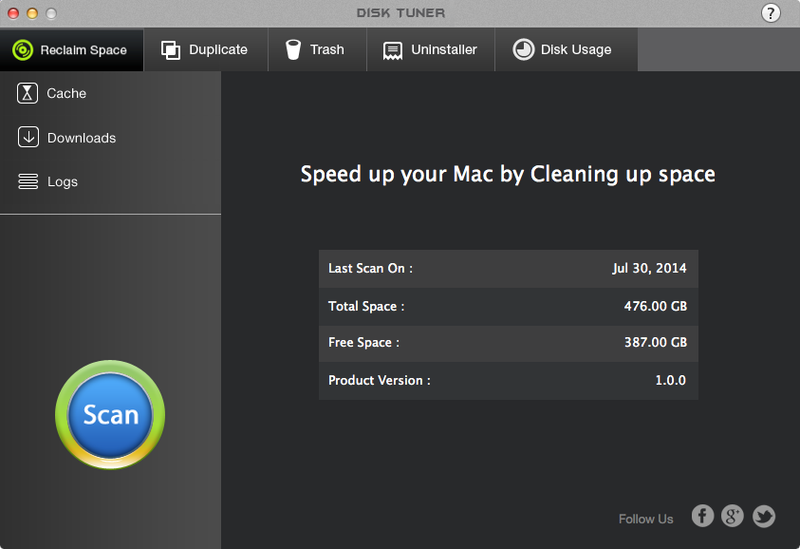 With Max Disk Tuner you can scan your Mac with just one click. Free up space by removing cache and junk files. Over the period of time, Mac computers suffer from slow response, over occupied hard disks, difficulties in uninstalling apps and duplicate files. 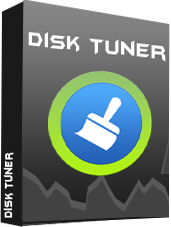 Disk Tuner runs your Mac faster. It clear out all of the unnecessary files that slow down system performance. It is an intelligent, simplest and safest way to clean your Mac. With Disk Tuner you can scan your Mac with just one click. Free up space by removing cache and junk files. Over the period of time, Mac computers suffer from slow response, over occupied hard disks, difficulties in uninstalling apps and duplicate files. How to use Disk Tuner? Cache: Data downloaded from internet such as web pages, graphics, videos or sound files, these are not required any more. Logs: Log files contains numerous system activities and service logs which may be helpful for debugging purposes only and can be removed . Downloads: Downloaded program files that are no longer required, completely safe to delete and that won't affect the stability and performance of your Mac when removed. This module helps you locate, review and remove all duplicate documents, folders, pictures, movies, archives from your Mac Hard drive. 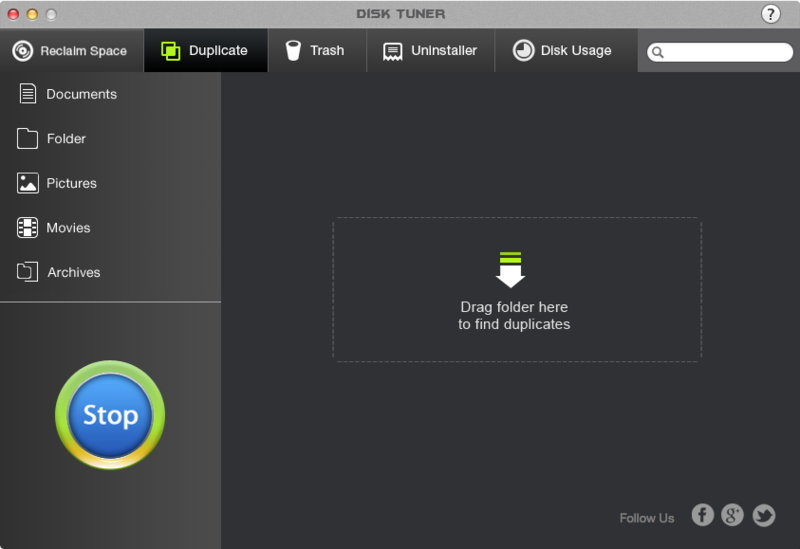 Duplicate Finder searches the hard drive and locates multiple instances of the same file. It allows the user to manually review the files and decide if they would like to keep or delete. It detects even the renamed copies and enables you to remove these duplicates if you don't need them. Easy preview shows the path of the particular file by pointing the mouse pointer on that file. Documents: Scans all kind of documents, displays size and content. Folder: View all duplicate folders by clicking on this option. Pictures: Duplicate images of all formats are shown here. Movies: All formats of videos and movies are displayed under this option. Archives: Scans and shows all duplicate archives from your Mac machine. This module helps to empty all system Trash folders of your drives with just one click. Uninstaller removes widgets, applications, preference panes and plugins and their associated preferences, web cache and log files which still remain on the Mac's hard drive even after the item has been removed from trash. When you open Disk Usage, click Scan to check the user folder for all files and folders available. You can review these files and see which ones are unnecessary and delete them to make space. for easy access to these. The most effective protection against Malware and Spyware for Mac with Recover, Scheduler, Live Update and 24x7 Support.